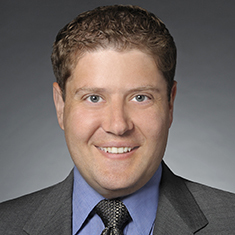 Michael Melzer concentrates his practice in public finance matters, serving in project finance and regulatory capacities as bank, bond, borrowers', developers’, disclosure, regulatory, special finance, special pension, special tax, tender and underwriters' counsel. Michael's practice relates primarily to public, private and restricted bond and other debt financings; public-private partnerships; infrastructure and project finance; multifamily housing, health care, student housing and municipal workouts and restructurings; commercial paper offerings; Rule 15c2-12 compliance; bond tender offers; Securities and Exchange Commission (SEC), Internal Revenue Service (IRS), Financial Industry Regulatory Authority (FINRA), Special Inspector General for Troubled Asset Relief Program (SIGTARP) and Inspector General for TARP (IGTARP) enforcement actions; general and specific tax compliance reviews; interest rate swap and other financial derivative agreements; and nonprofit/for-profit mergers and acquisitions. Bond counsel for more than $8 billion general obligation bonds; $4 billion airport revenue bonds; $3 billion convention, hotel and sports facility revenue bonds; $1.5 billion health care and senior living revenue bonds; $1.25 billion passenger rail bonds and notes; $1.25 billion clean and drinking water state revolving fund bonds; $800 million electric system revenue bonds; $675 million higher education revenue bonds and certificates of participation; $600 million park district and harbor bonds; $400 million wastewater revenue bonds; and $1.5 billion commercial paper bonds. Underwriter’s or disclosure counsel for more than $4.5 billion general obligation bonds; $2.5 billion health care and senior living revenue bonds; $1.75 billion airport revenue bonds; $1.5 billion higher education revenue bonds; $700 million wastewater revenue bonds; $600 million municipal lease revenue bonds, including 63-20 bonds; and $400 million electric system revenue bonds. Borrower’s or special counsel for more than $1.1 billion multifamily housing bonds; $800 million higher education revenue bonds; $600 million health care and senior living revenue bonds; $400 million pollution control bonds; and $150 million fixed-base operator revenue bonds. Placement agent or purchaser’s counsel for more than $600 million passenger rail revenue bonds; $295 million state general obligation bonds; $275 million wastewater revenue bonds; $160 million multifamily housing revenue bonds; and $40 million surface water revenue bonds. Counsel involving public-private partnerships for airport passenger terminal facilities; consolidated rental car facilities; water and sewer utility systems; and metered parking systems and parking garages. Tax counsel for IRS ruling requests including private use of tax-advantaged financed hotel and sporting facilities; IRS audit defense; and the organization of, and exemption application for, nonprofit entities. Regulatory counsel to seven national underwriting firms and dozens of issuers and obligated persons in connection with the SEC's MCDC initiative; counsel to underwriting firms and municipal advisors in SEC and MSRB enforcement actions including pay-to-play and Rule 15c2-12 enforcement actions. Counsel in workouts involving Florida, Illinois and Washington conduit revenue bonds; Indiana, New York and Tennessee low-income and tax credit housing facilities; special service area bonds; and road district debt certificates. Counsel to a municipal corporation navigating disclosure and legislative remedies for state non-appropriation. Counsel for state Medicaid and other vendor payment programs.